Creative & curated design to bring you La Bella Vie - the beautiful life. From farmhouse to chateau, modern loft to penthouse - we create livable and comfortable spaces that reflect your style through well curated and thoughtful design. We understand that a well designed workspace communicates your commitment to success. Taking your space from beautiful form to valuable function is what we do best. Making memories is what living is all about. Creating a play area, outdoor entertaining space or vacation home - we can assist you in designing memorable spaces to enjoy, relax and rejuvenate. 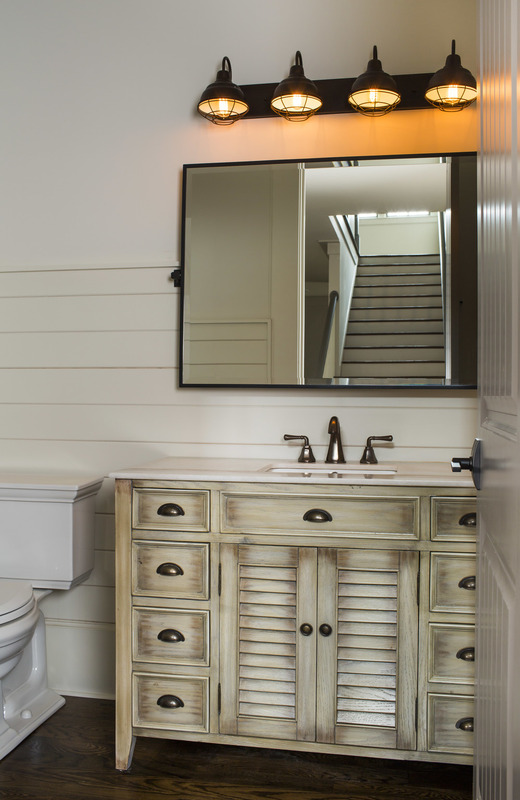 This darling beach bungalow in Inlet Beach was a passion project for Vikki. She is a lifetime lover of the surf and sand. In fact, you can see influences of beach and coastal design in her city work. We are excited to present this collection of photos that showcase the relaxed yet stylish design of easy breezy beach living. This is a 4 bedroom 3 bath beach house in Inlet Beach Florida along the famous white sandy beaches of 30-A. Design doesn't stop with the interiors. Every inch of the house was curated to reflect the light, airy, and welcoming nature of the overall interior design. The white paint, natural wood accents, and warm brick pavers conjure feelings of calm and cozy. The idea behind this design was to bring you into a state of relaxation with the very first step through the door. 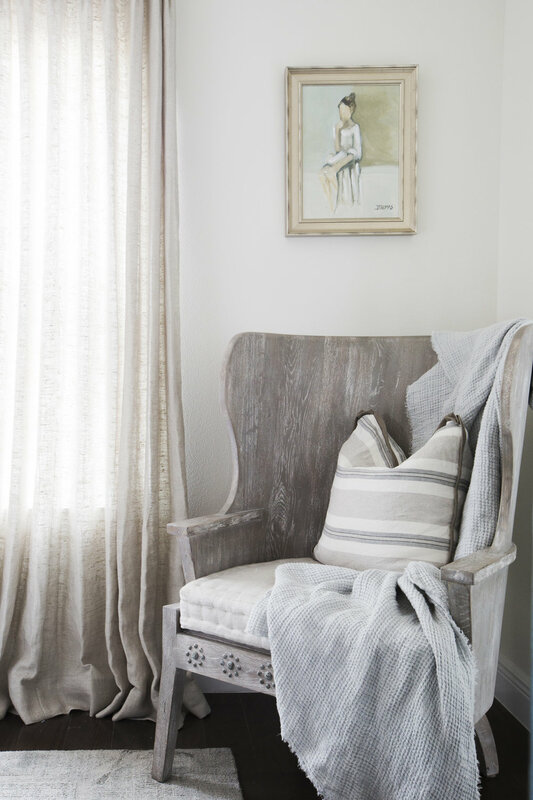 Using light colors and tranquil beach inspired imagery, Vikki created a haven for guests and family alike. Sunny showroom in the heart of downtown Roswell. When we discovered our showroom in Roswell it was a diamond in the rough. As we peeled back the layers of outdated decor we exposed the gem we now call our home at La Bella Vie. Each layer presented a new challenge until finally revealing the beautiful raw nature of the original structure. Among our favorite surprises were the exposed brick walls. Of course we added to the mood by installing a barn door and exposed wood plank ceiling. Our showroom floor is consistently changing as we represent over 150 different lines of furnishings and accessories. Everyday there is something new at La Bella Vie. Come and visit with us as we live the beautiful life. Open and airy traditional family home. A perfect mix of soft curves and clean lines keep this traditional family home from feeling stuffy. The custom designed sunroom with its light colored walls and soaring windows allows the essence of the season to be enjoyed all year round. Also featured is the terrace level media room re-designed to give it a sophisticated comfort and a cheery brightness that can be absent from lower level spaces. Custom design & build craftsman style home with a modern edge. This Brookhaven home was built for a family with kids, thus function was as high on the list as form. Each space was designed to highlight the architectural details of the house and let the home's inherent beauty radiate even without any additional furnishings. Check back soon to see the fully furnished space. Rich, neutral marble and reclaimed materials set the tone for the space. Cedar ceiling beams help divide and define the rooms in the one open space. Deep archways and book niches further the European-inspired design. Niches on either side of the mantel add character and unique storage. To complete the look, Vikki layers texture with a pop of color to let the architecture of the home shine.